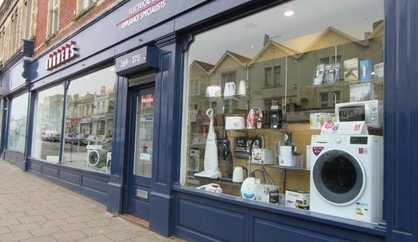 HORDERS Appliance Specialists will deliver all purchased goods within a window of 5 days. HORDERS Appliance Specialists will contact all customers immediately after a sale has been made to confirm the delivery details. Click & Collect is available on selected products from our main store. HORDERS Appliance Specialists will email you when your order is ready for collection. HORDERS Appliance Specialists will hold your order for 2 days. If your order is not collected within this time your order will be refunded by HORDERS Appliance Specialists. Please be aware that a restocking fee of £0.00 will apply. https://store.horders.co.uk (this site) is operated by HORDERS Appliance Specialists. 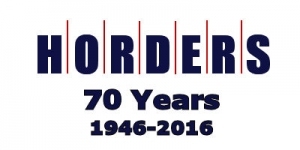 HORDERS Appliance Specialists is registered in the U.K. (company number 769159) and we trade from 369-375 Gloucester Road Bristol BS7 8TW. HORDERS Appliance Specialists's VAT number is 138321973. After placing an order, and once payment has been authorised, you will receive a sales confirmation via email acknowledging that your order has been received by HORDERS Appliance Specialists. The contract between you and HORDERS Appliance Specialists will only be formed when a sale confirmation is sent to you and payment has been received. HORDERS Appliance Specialists will confirm that your chosen product will be delivered on certain date and request that this is acceptable. To cancel a Contract, you must inform HORDERS Appliance Specialists. You will then be contacted to agree a method for returning the product(s). Product(s) must be returned in the same condition in which you received them. If you return product(s) in person or send them they will be at your risk until they are received by us. You have a legal obligation to take reasonable care of the product(s) while they are in your possession. If you fail to comply with this obligation, we may have a right of action against you for compensation. We may also charge you a reasonable sum as reimbursement for any missing items such as leads or remote controls. If you are returning product(s) that are faulty, you will not be responsible for any collection costs. You will need to contact HORDERS Appliance Specialists and we will initially look at resolving the issue. If this is not an issue that we can resolve, and the product is less than 28 days old, then the product can be returned, at our cost, and you will receive a full refund. However, if any accessories are missing, the cost of these will be deducted from your refund.